The last three weeks of Arrow have formed a mini-arc featuring Team Arrow fighting Danny Brickwell, a.k.a. Brick, while Oliver has been recovering from his near-fatal wounds at the hands of Ra’s al Ghul (that’s right, he didn’t actually die…). Yesterday, things wrapped up with the capture of Brick, The Glades free from criminal control, a Laurel Lance who is now fighting with Team Arrow as the new Black Canary and Oliver returning to Starling City to resume his hero duties. Starting next week, the show will get back into a more regular pacing, but don’t think that means things will go back to normal. In fact, we might get our most unusual episode yet with the return of the second Count Vertigo and Sara Lance, and despite the latter being one of Team Arrow’s most trusted allies, this time around she’s not entirely herself. 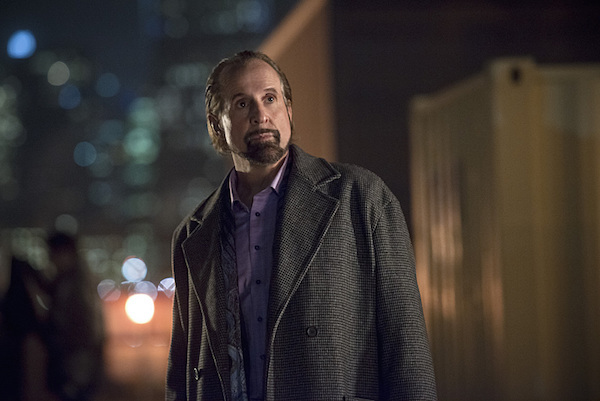 From the preview for next week’s “Canaries,” we see that Werner Zytle, played by Peter Stormare, has broken free from police custody and hits the streets to cause more chaos. Zytle inherited the Count Vertigo mantle after his predecessor met his demise during Season 2, and debuted in the Season 3 premiere. Like the previous Count, his trademark weapon is the namesake narcotic Vertigo, only he has made adjustments so that anyone injected with the drug will see their deepest fears. In Oliver’s case, he saw a distorted version of himself while fighting the drug dealer. Someone might want to convince Batman villain Scarecrow to pursue legal action against this guy. While fighting the new and improved Vertigo next week, Laurel will be injected with a full dose of the same drug, leading her to see Sara, played by Caity Lotz. So for any of you that previously wondered if Sara would return for a flashback or miraculously be revived from the dead, that’s not the case this time. 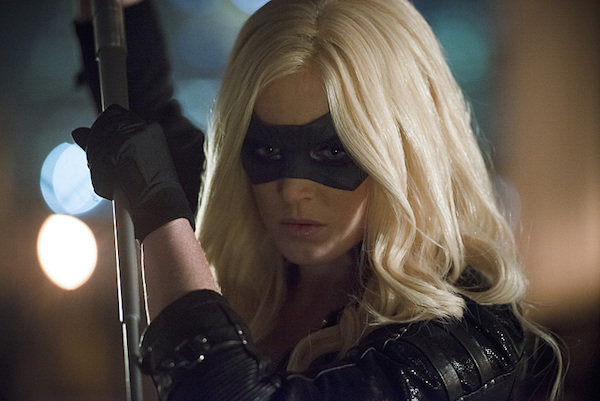 Instead, Laurel will see Vertigo as Sara, and the audience will witness an “epic fight” between the two Canaries. While fighting, this faux-Sara will probably say some hurtful things to wear away at Laurel’s self-esteem. Like Oliver, Laurel will have to face her fear and defeat the hallucination…who is actually just a middle-aged nutbag drug dealer, but that’s beside the point. Sara was murdered by an unseen figure during the Arrow Season 3 premiere, later revealed to be Thea Queen under the influence of Malcolm Merlyn. Although her only other appearance until now was as a corpse in Episode 2, she has maintained an important presence in the other characters’s lives. Especially Laurel, who took up boxing as an outlet to deal with Sara’s death so she could learn how to dish out justice. To protect his sister, Oliver took the blame for killing Sara, leading to his fight with Ra’s al Ghul and getting stabbed and kicked off a cliff. You can check out the full preview for “Canaries” below. Arrow airs Wednesdays at 8/7c on The CW.